After the successful rollout of Bixby Voice in the US, Samsung is now looking for new devices that could push Bixby’s utilisation forward. As if the dedicated Bixby button on the Galaxy S8 lineup was not enough for users to use it, the company is now developing an iteration of Apple’s wireless AirPods with Bixby integration. According to a report by the Korean publication, ETNews, Samsung is allegedly working on Bixby-powered wireless earphones. This is surprising though, as the company was recently reported to have shelved its plans for a Bixby-powered smart speaker. It seems that Samsung may have backtracked on the smart speaker plan to push forward on the wireless earset that could look a lot like Apple’s AirPod that come with Siri integration. With a new earset, Samsung seems to be pushing its long-term strategies for the AI assistant. The company believes that users are now slowly drifting from touch control of the phone to voice control. Well, that sure seems like a far fetched expectation as we don’t think that we can completely depend on voice commands to control our phones yet. The report also states that Samsung’s iteration of AirPods would come with “noise blocking technology” which will allow Bixby to recognise commands even in crowded surroundings. Users will be able to use Bixby via earset even when their connected smartphone is not nearby. The noise blocking technology is also believed to enhance the voice calling quality. To recall, the company already has Gear IconX earpods in its inventory, which means that it already has a prototype. Further, the report states that Samsung is likely to unleash Bixby-powered earsets alongside the Galaxy Note 8 launch on August 23 in New York. There is also a possibility that Samsung might include the earset in the Galaxy Note 8 box content. 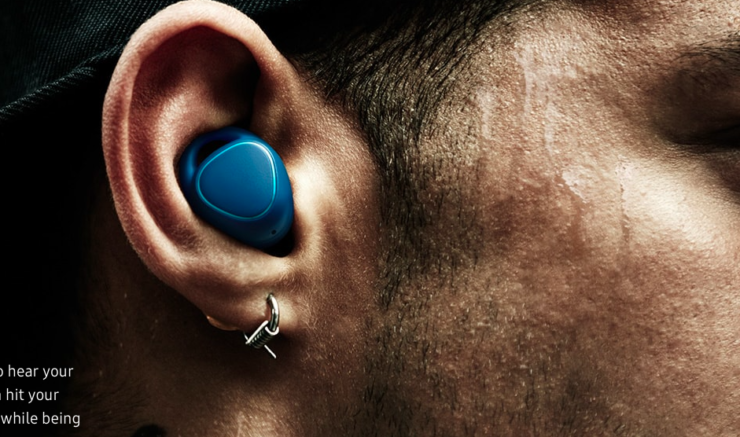 An anonymous Samsung executive has also claimed that the earset is not official yet and there is no track of its development. In other words, there are chances that the company may shelve the earset project like it shelved the Bixby-powered smart speaker project. Besides, even if the product does become a reality, then there is also a chance that Samsung may keep its availability limited to the US and South Korea.